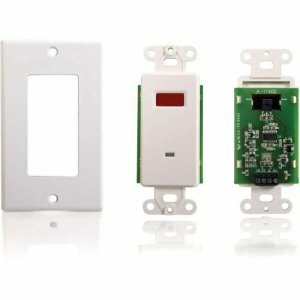 Finish the installation of your TruLink Infrared (IR) Remote Control Repeater Kit (#40430) with this dual band wall plate receiver kit. This item replaces the dual band IR receiver that is included with the Infrared (IR) Remote Control Repeater Kit. The wall plate insert is a single gang Decora-compatible wall plate insert with a wall plate cover included.